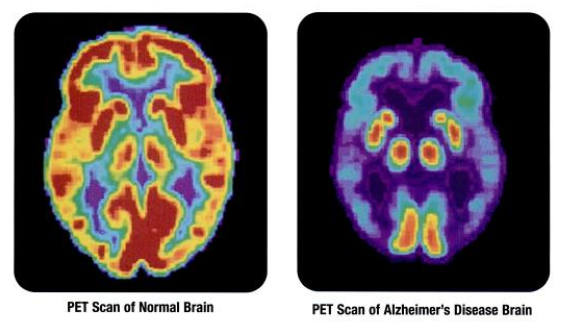 The market for Alzheimer’s treatments is growing at an increasingly fast pace. The Alzheimer’s disease drug market in the U.S., France, Germany, Italy, Spain, the U.K. and Japan is expected to nearly triple over the next ten years, from $5.4 billion in 2010 to $14.3 billion in 2020 (PharmaTimes). A report by Decision Resources says that biological agents and potentially disease-modifying therapies that have been available the longest, such as solanezumab and bapineuzumab, will most command higher price premiums over currently available agents. Decision Resources analyst Georgiana Kuhlmann says that “thought leaders are cautiously optimistic that the anti-beta-amyloid MAbs will be able to slow the rate of neurodegeneration and consequently cognitive and functional decline - however, they await evidence from ongoing late-stage clinical trials”. Assuming the MAbs are the most effective, "they will have the greatest clinical and commercial promise” in the Alzheimer’s treatment market. While some UC Santa Barbara research may have a place in the Alzheimer’s treatment market, researchers at the university conduct a vast variety of research. Researchers at the University of California, Santa Barbara are well-funded by organizations such as the NIH and NSF. So far in 2013, the NIH has awarded the University of California, Santa Barbara $18.5 million in research funding. For more funding information on the University of California, Santa Barbara, please read our blog Life Science Marketing Opportunity Funding Resource: UCSB. If you are a lab supplier interested in getting involved with the Alzheimer’s research market at the University of California, Santa Barbara, Biotechnology Calendar, Inc. invites you to attend our Santa Barbara BioResearch Product Faire™ Front Line Event™ on April 1st, 2014. Biotechnology Calendar, Inc. is a full-service science research marketing and events-planning company that organizes life science marketing events at top research institutions nationwide. If you are interested in getting involved with the Alzheimer’s research market at life science marketing events closer to home, we encourage you to view our 2014 calendar events. To exhibit at our Santa Barbara BioResearch Product Faire™ Front Line Event™, please click on the button below.